The collection in the museum room on the 15th floor of the Bromo Tower is on loan from and curated by Ernest Dimler. Mr. Dimler’s passion for treasure hunting since he was a child was inspired and supported by his Dad. He was drawn to all kinds of bottles and treasures but was significantly drawn to the iconic blue bottles which were used to package Bromo Seltzer. His extensive collection includes all generations of bottles including rare finds and the controversial “green” Bromo bottles. Recent documentation and advertising on display in the museum has provided the answers to avid bottle collector’s questions. 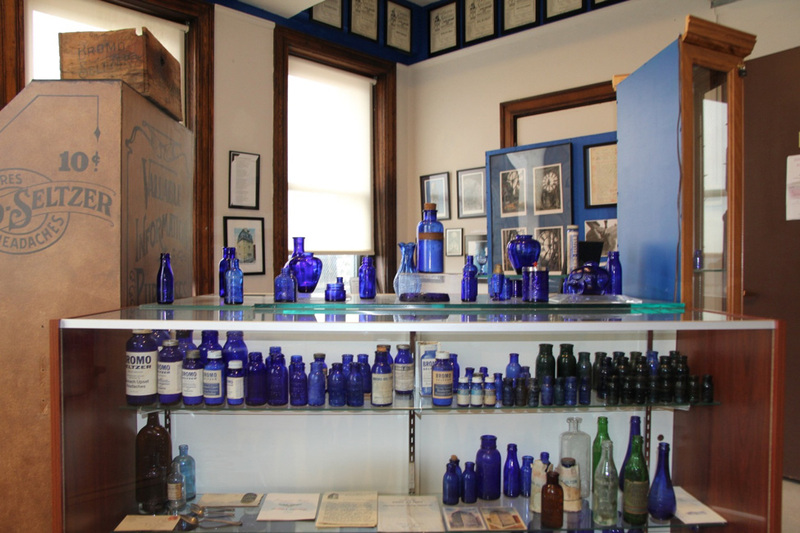 The museum includes The Maryland Glass Company Room, a holding of Emerson’s, which produced 90% of the blue glass in America. Mr. Dimler is acknowledged for his recent contributions in multiple issues of Antique Bottle & Glass Collector Magazine featuring the Bromo Seltzer product and its efficacy.